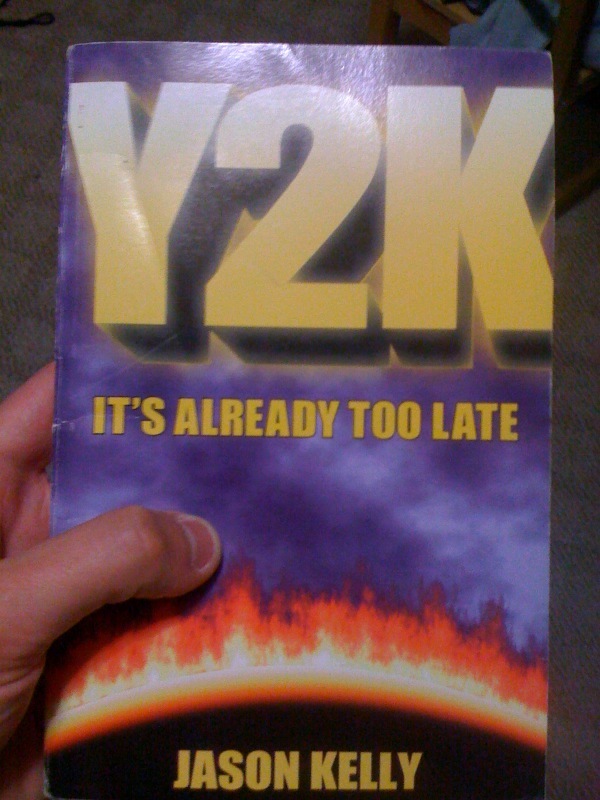 Y2K The Book! | Totally Radical Sportz! Tagged with: Free Snacks, Gushing, Hard Pressed Veins, Lights, Mysterious Force, Parasite Mode, Television Abuse, Tricky Briefings, Y2K The Book! Tagged with: Admiring Looks, Boogie Boarding, Collections of Strain, Dan Van Lan, Deep Moist Cheek Ravines, High Voices, Launch Tubes, Pathetic, Rich Voices, Weeping, Y2K The Book! Tagged with: Backpacks, Coordinated Matrix Process, Heavy Glasses, Impervious to gunshot wounds, Less Than Perfect, Lovers, Newbies, Nikolaas Groen, Old Chinese Trick, Outhole, Silver Bullet, Teaching Japanese, Tepid reactions to kidnappings, Y2K The Book! Tagged with: Bigshots, Chinese Invasion, Diesel, Earpieces, G2G, Lonely Times, Rabbit Warrens, Rockets, Rough-Knuckled Hands, Saliva Draining, Smart Plans, Smell Problems, Truck Vomit, Warm Chair Seats, Y2K The Book! Tagged with: Aliens, Cataracts of Disbelief, Driver Decisions, Familiar Furniture, Fellows, Ferocious Looks, Mopeds, National Geographic, Pop Tarts, Sal Platt, Shameless Torrent of Sadness, Surprised by Races, Taboo, The Scent of Ointment, Unwashed Hair, Y2K The Book! Tagged with: Beer Traditions, Morris Ferdelle, Motherfuckin' Pig Roast in Korean BBQ Sauce, Public Eagle Pulling, Ruined Soup, Soup, Teeth, Wax, Y2K The Book! Tagged with: Candles, Crying Tears, Greasy Heads, Old Mexican Women, Orange Crush, Soda Defamation, Spears, Tense Jaw Muscles, Toys, Uncontrollable Moisture, Vampires, Y2K The Book! Tagged with: Head Growth, Israelis, Naps, Riots, Rough Hands, Scalps, Y2K The Book! Tagged with: Goodies, Guffaws, Helicopter Cop Comedy, Inappropriate Office Contact, Lays, Leis, Y2K The Book!